For Mixed Chorus (SATB) with Piano or Organ. Composed by Karl Heinrich Graun (1704-1759). Edited by Arthur Hilton. Arranged by Arthur Hilton. 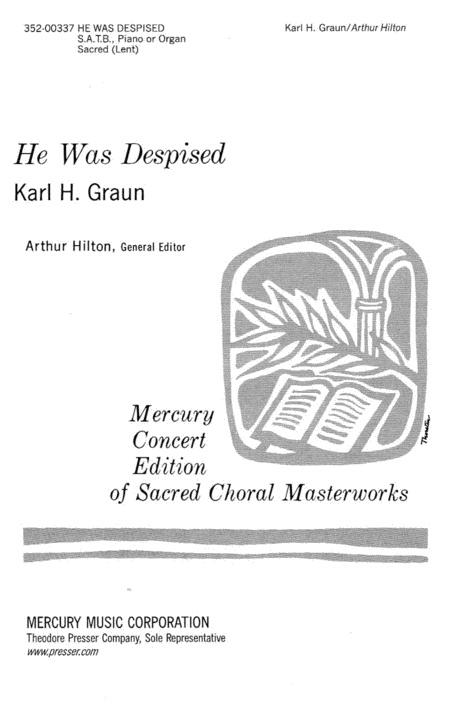 Mercury Concert Edition of Sacred Choral Masterworks. Choral. Piano reduction/vocal score. With Standard notation. 5 pages. Theodore Presser Company #352-00337. Published by Theodore Presser Company (PR.352003370). ISBN 1491111844. Key: A minor.